Cyber attack targeted electronic highway signs in North Carolina announced U.S. Department of Transportation in a press release that they are investigating a cyber event, how the hacker was able to get into the private DRS network and put a messages on the highway billboards. Ubisoft new game Watch Dogs give the player (hacker) abilities to hack and manipulates central operating system of a city and change more than 50 billboards . • Carolina Beach Road in New Hanover County. 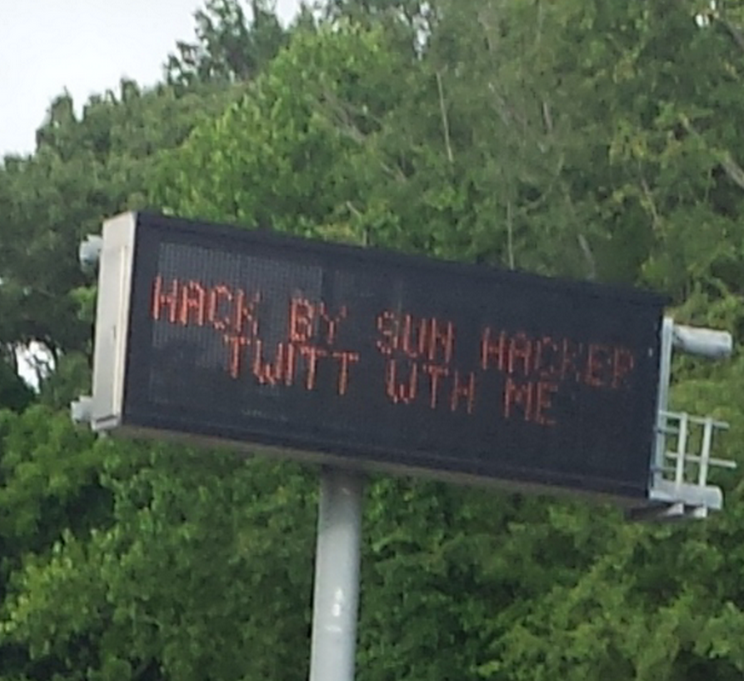 All five digital road signs displayed a message that read Hack by Sun Hacker twitt with me, @ISUN_HACKER retwitt the message.